We belong to both Worlds. The human and the divine. The fleeting and the eternal. Physical and spiritual. Full engagement in both is required – it’s what I’m reading in all the sacred books. Many people say they want to go “home” now. They want to [transition] before they do the Work. it leads to the point when we no longer long to leave. “You know, I just don’t feel like I belong here [on Earth] I’d rather go back… home” The message “life = pain” hidden in between lines. …there is a perfect answer to this. The purpose of being here is to UNITE both worlds. We do it thru spiritual work. Everything is spiritual work and everyone is doing it… even if you never say the word. You have the inner life. You have your Inner Castle. The exterior life more or less frequently gives us headache, scratch that, opportunities to transform dissonance into harmony, conflict into peace. And we do it using our spiritual gifts. Some of us learn the lessons fast, for some of us it takes longer, normal thing. We all have our areas of both weakness and genius. The inner life, at times heavy, other times so blissful nothing out there can compare, calls us to reach deeper into our Soul. Into the level of meaning, purpose and fulfillment. It pulls us to to the Divine Matrix, it calls us to always transcend. This is how I see it now. I’m sure 5 years from now I will see it a bit differently. So how to align both worlds? Learn from the mistakes and conflicts. Transform darkness to the Light. Become a Mental Alchemist. Integrate the lessons. Allow miracles to happen every day. Our spirituality needs to be a priority. He expects constant guidance and love from the divine, “which is what everyone should expect,” he says, and in fact what the divine provides, but nothing else. There is a book that in indirect way helped me to understand, that we cannot sacrifice the physical for the spiritual aspect of life, and vice versa. 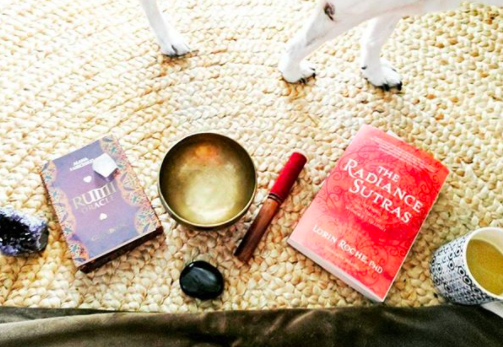 Full engagement in both worlds is necessary… I will write about “The Radiance Sutras” by Lorin Roche, in my next post. These are not the original 2000 year old Patanjali Sutras. This is a rendering done by a contemporary meditation teacher.